Every year, the 10th of September marks world suicide prevention day, with thousands of people across the globe calling for action to reduce deaths by suicide and save lives . Suicide prevention strategies can be implemented at several different levels with interventions including: (i) restricting individuals’ access to the means of suicide, (ii) promoting responsible media coverage of suicide, (iii) improving mental health care systems and training health professionals, and finally (iv) ensuring societal support for the implementation of these interventions. Suicide prevention strategies are predicated on the knowledge that suicide is not an inevitable phenomenon . While the interventions above are directed at a societal level, there is much that can be achieved at the individual level too. The online project ‘Live Through This’ publishes interviews with people who have survived a suicide attempt. In one of these interviews, Michael Skinner, a suicide attempt survivor says at the end of his testimonial: “I want to live. I want to live. And I want to help break that silence so others want to live… There’s hope out there, there’s healing, and there’s help. Let’s break the silence. We need to end the silence and the stigma and discrimination around suicide and all these issues that bring us there, whatever they may be.” Breaking the silence. Ending stigma. Ending discrimination. How we treat people who suffer from a mental health issue is critical. Our approach to mental health can help to prevent suicide. Key elements for suicide prevention at an individual level are compassion and empathy. Writing for Big Think, the American writer Lori Chandler says that “empathy is a gateway to compassion. It’s understanding how someone feels, and trying to imagine how that might feel for you — it’s a mode of relating. Compassion takes it further. It’s feeling what that person is feeling, holding it, accepting it, and taking some kind of action”. In her essay, Chandler mentions a study by Fredrickson and colleagues  showing that demonstrating empathy to someone increases life satisfaction and reduces depressive symptoms. When the situation involves someone’s suicidal feelings, empathy and compassion towards them play a fundamental role in preventing suicide. A study conducted by Mueller and Waas  assessing college students’ empathy and their attitudes towards people suffering from suicidal feelings revealed that participants with higher levels of empathy were found to view both affective and behavioural characteristics associated with suicide as more serious than participants low in empathy. The study also showed that college students higher in empathy were more likely to provide assistance to peers experiencing emotional and behavioural difficulties. Muller and Waas say that their research findings are consistent with an extensive body of research indicating that people high in empathy tend to be more emotional, have a greater sensitivity toward others, and are more willing to assist individuals experiencing psychological distress. Importantly, empathy can be learnt and developed. Many lives have been saved through acts of compassion and empathy. There is no evidence that talking about suicide will make someone suicidal. Talking directly, openly, in a non-judgemental and supportive way is the best way to start a conversation if we suspect someone is feeling suicidal. 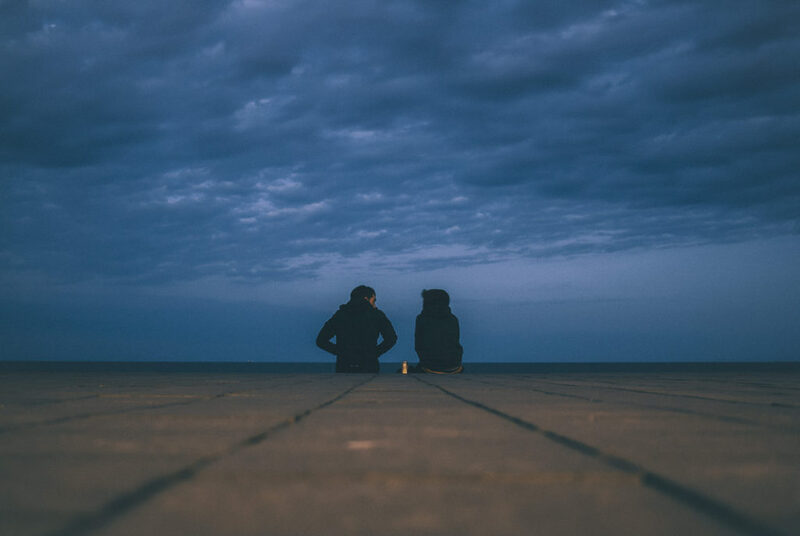 The Samaritans guidelines on “How to start a difficult conversation” teach optimal ways to approach someone who may be experiencing suicidal feelings. If you are in immediate need of some support, Samaritans are there to listen 24/7: 116 123 (FREE to call from the UK or Republic of Ireland). If you are in Scotland, you can also contact Breathing Space: 0800 83 85 87. World Health Organization. (2014). Preventing suicide: A global imperative. Geneva, Switzerland. Fredrickson, B. L., Cohn, M. A., Coffey, K. A., Pek, J., & Finkel, S. M. (2008). Open Hearts Build Lives: Positive Emotions, Induced Through Loving-Kindness Meditation, Build Consequential Personal Resources. Journal of Personality and Social Psychology, 95(5), 1045–1062. Mueller, M. A., & Waas, G. A. (2002). College students’ perceptions of suicide: the role of empathy on attitudes, evaluation, and responsiveness. Death studies, 26(4), 325-341.